Today is the day! It’s show time for the Theatre Royal Plymouth Young Company. You may have seen what the cast have been up to during the week on our Instagram takeover, and they are all very excited to get on that stage for you tonight to perform The Blue Road. 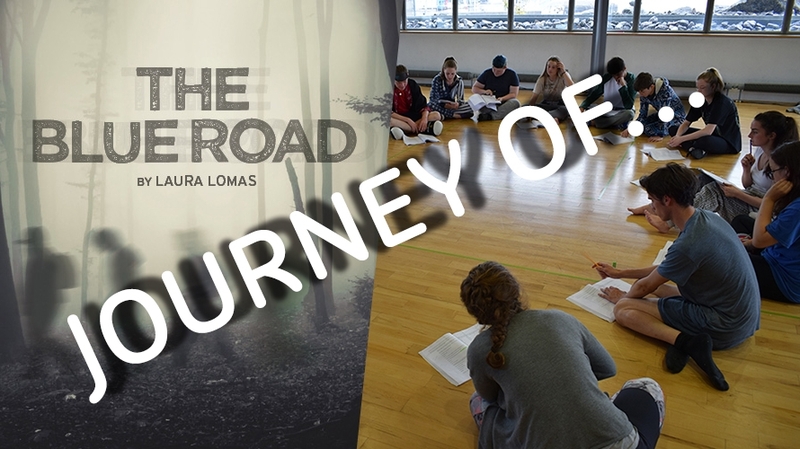 This is our final blog post for Journey of….The Blue Road, and we asked Young Company member Maisy to help us out. Why did you get involved in the Young Company? 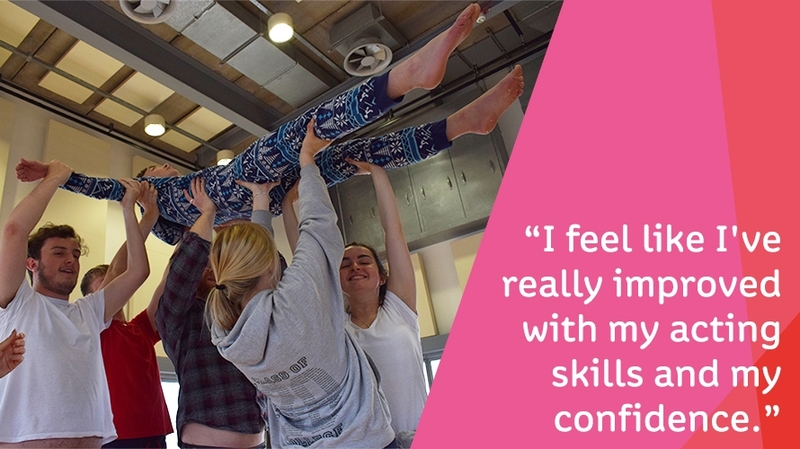 I got involved with the Young Company because I’ve always loved acting and performing and wanted to find somewhere that I could really start to improve and learn. I found the Young Company on online and instantly wanted to join. I was and still am thinking about a career in acting so I felt joining a company like this would really help with my confidence, and it definitely has. I joined early this year and since then I feel like I’ve really improved with my acting skills and my confidence. How have you found the rehearsal process, have there been any surprises or unexpected challenges? So far, the rehearsal process for The Blue Road has been amazing but very intense. It’s the first show I’ve done ‘in the round’ so forming the show around this feature has been a really cool experience. There has been a lot of dynamic physical work that has pushed me to my limits but that’s whats made it so fun! And the fact that we have such short amount to perfect everything is quite challenging but I’m learning so much so I wouldn’t have it any other way. I’ve loved being able to really immerse myself in the show and trying to understand what the characters are going through has been really interesting. I personally think we have a really fun but also mature mix of people in our cast which means we get a lot done in our rehearsals, but we also have a great time! Who should come and see the show? I think everyone should come and see The Blue Road. The show is all about the survival of this group of young people so watching it in the perspective of all ages could being really interesting. Younger audiences will enjoy the show as they can maybe relate to some of the characters personalities and feelings. 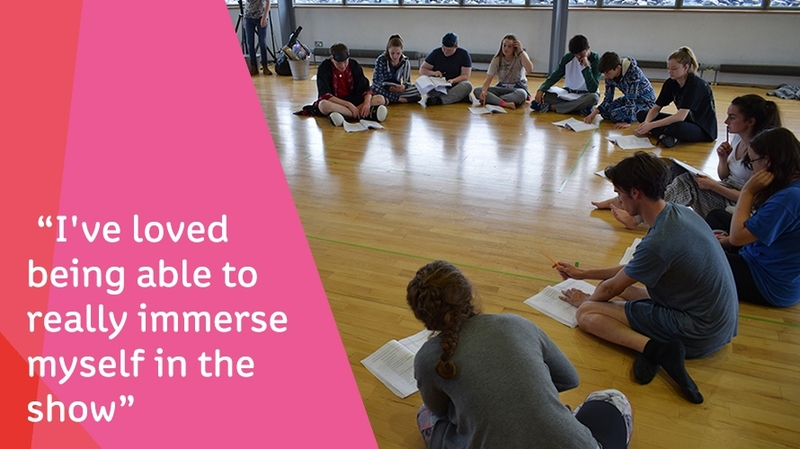 The show is all about the independence of young people and how they deal with their emotions – so in that sense it could be really great for parents and an older audience to watch too , to get a feeling of what it may possibly be like if all adults ‘disappeared’ and young people were left on there own. What are you most looking forward to during production week? The Blue Road opens tonight in The Drum, until Saturday 26 Aug. Tickets are selling fast so be sure to grab yours before we say goodbye once more to another Young Company production. And it’s a goodbye for our Journey of…The Blue Road blogs, we hope you have enjoyed reading them and getting a behind-the-scenes feature, until next time!